From lake life to winter recreation, fall colors and family traditions, Waushara County is a quintessential Wisconsin destination. Host Mariah Haberman dives into the year-round recreation and deep-rooted family traditions that have kept visitors coming to this area for decades. Lake life is a huge draw to Waushara County, and many families have been coming to this area for generations to reconnect and relax with a weekend at the lake. 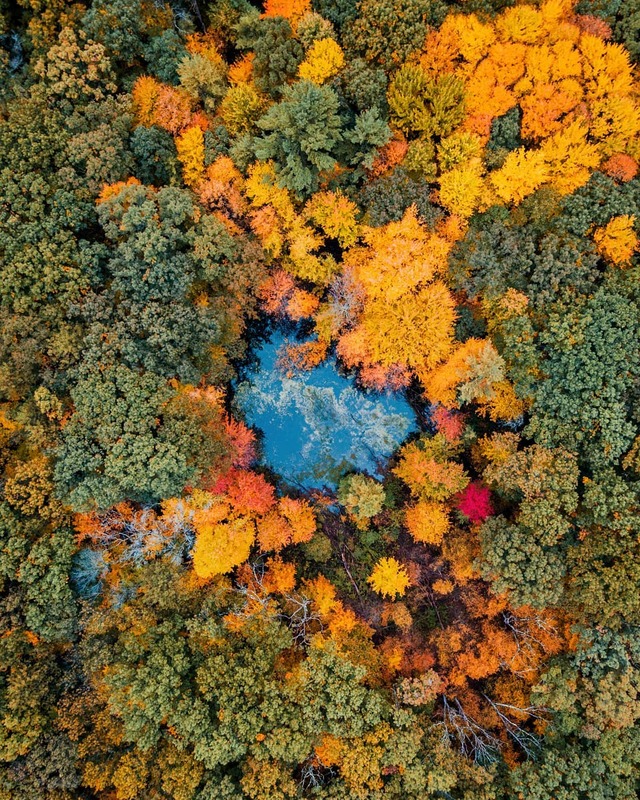 With nearly 100 lakes and 20,000 acres of public land available, hunters and fishermen flock to Waushara County every year, while the rustic roads, Ice Age Trail and fall colors bring bikers and hikers alike to the area. Mariah also visits Silvercryst Supper Club & Motel, a longtime Waushara County favorite for drinks, steaks and gorgeous lake views, as well as Flyte’s Fieldstones, where she enjoys the fall activities before getting a little lost in the corn maze. Finally, when the snow rolls around, there’s no better place to be than Nordic Mountain, where skiing, snowboarding and tubing help beat the winter blues! With plenty of recreation year-round, Waushara County is truly for all seasons! Videographers for the DW Crew film turkey hunting in Waushara County. Sunsets in Waushara County are stunning! Waushara County has plenty of spots to admire the fall colors, including Mt. Morris County Park. Mariah checks her map of the corn maze at Flyte's Fieldstones. Silvercryst's iconic statue of a bull greets visitors! The Old Fashioneds at Silvercryst Supper Club are a DW Crew favorite! Silvercryst Supper Club's outdoor dining area offers beautiful views of Big Silver Lake. The quarry in Redgranite is one of Waushara County's most scenic spots! A colorful sunset is reflected on the water in Waushara County. Waushara County is home to nearly 100 lakes, which are perfect for all kinds of water sports! The Wild Rose Car show is held every September. Fun signs like this one dot the town of Wild Rose during the weekend of the Wild Rose Car Show. The sun sets over Wild Rose, Wisconsin. Waushara County is home to 23 miles of the Ice Age Trail. Every February, the Ice Age Trail in Waushara County is illuminated for the Sweet Heart Hike. Nordic Mountain's snow tubing hill is one of the state's best! The covered bridge just outside of Wild Rose is a well-known scenic spot in Waushara County. Waushara County offers all the best of a getaway to the Northwoods but without the long car ride. Conveniently located in central Wisconsin, with I-39 and a number of state highways traversing the county, plus the Wautoma Municipal Airport, it’s easy to get to no matter where you’re coming from. With nearly 100 lakes in the county alone, there’s plenty of opportunity for skiing, tubing, boating, fishing, and kayaking. Hunters travel to the area in both the spring and fall seasons to take advantage of 20,000 acres of public hunting land, and 23 miles of the Ice Age Trail await hikers and explorers. Winter brings a whole new wave of recreation, including 300 miles of snowmobile trails or downhill skiing and snow tubing at Nordic Mountain. From a relaxing lake vacation in the summer to endless options for winter fun and everything in between, Waushara County has no shortage of year-round recreation!